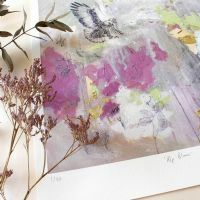 Sky’s current design collection, ‘Flight’ focuses on the ethereal beauty of birds. 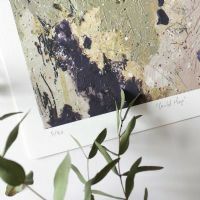 This distinctive selection of artwork features detailed studies of various different bird species amongst abstract painted landscapes and rugged foliage, suggesting scenes of unexplored wilderness. 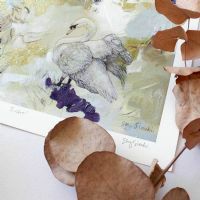 Behind each stunning piece are subtle, painterly transitions of natural greys and browns contrasted by occasional streaks and sprays of bolder hues.